We handpicked this because why wait until your child is 4 or 5 to teach them how to ride a big kid bike? With a Boot Scoot, even a 2 year old can be a big kid and glide around the neighborhood or the campground. 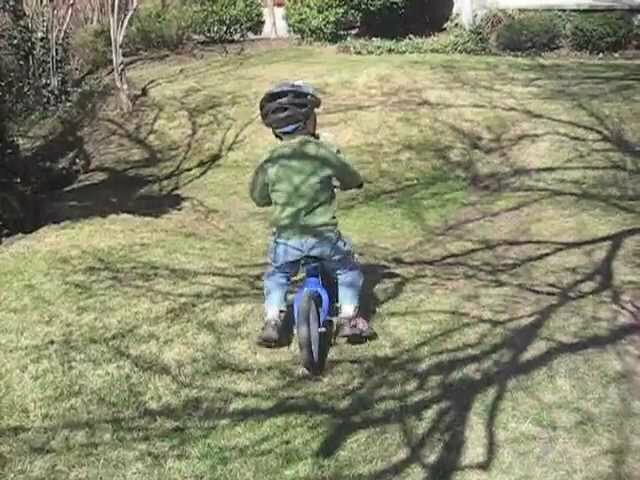 Boot Scoot Bikes are a fun way for your kids to figure out how to balance their weight and help them discover the agility and confidence they need to ride a real bike. They are pedal-less, smaller, and skinnier than normally bulky bikes and fit easily into cars when traveling. While on a trip to Europe in 2007 with her husband and their one-year old, Boot Scoot Bikes founder Katie Stirling could not believe it as a toddler zoomed past them on two wheels. Amazed at the toddler's ability, she began asking his parents about his bike. To her surprise, the pedal-less "walking bikes" had been popular in Europe for several years. Once she returned home, she began to search for a similar bike for her son, but was shocked at the prices of the European wooden versions. Unable to find exactly what she wanted at a reasonable price, she decided to develop and manufacture a more cost-effective and durable bike, and share them with you!